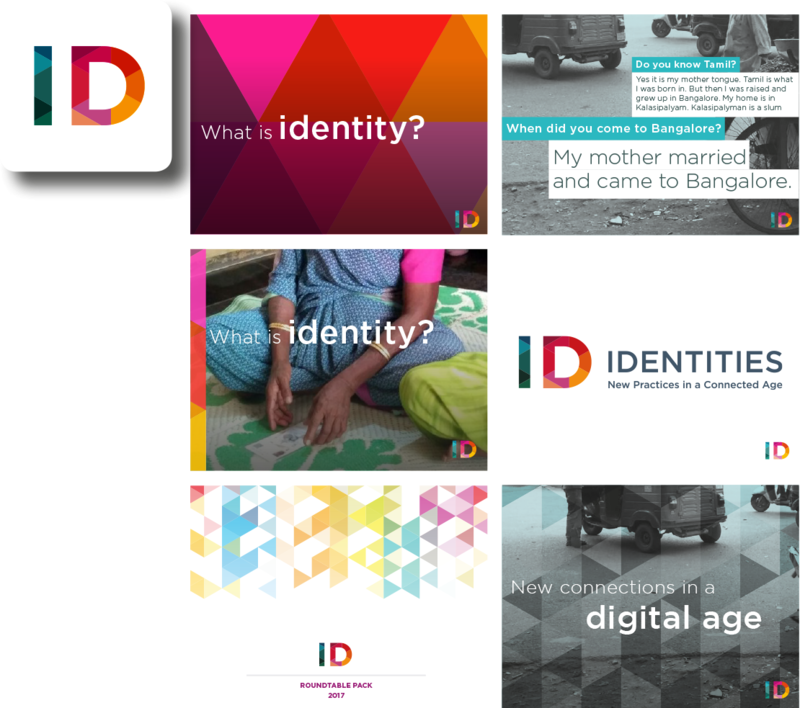 The Identities Project created a pioneering way of publishing live research commissioned by Omidyar Network, focussed on identities in India, made available to a selected global audience. This enabled engagement, at a basic level, but also helped to influence the research at a higher level. 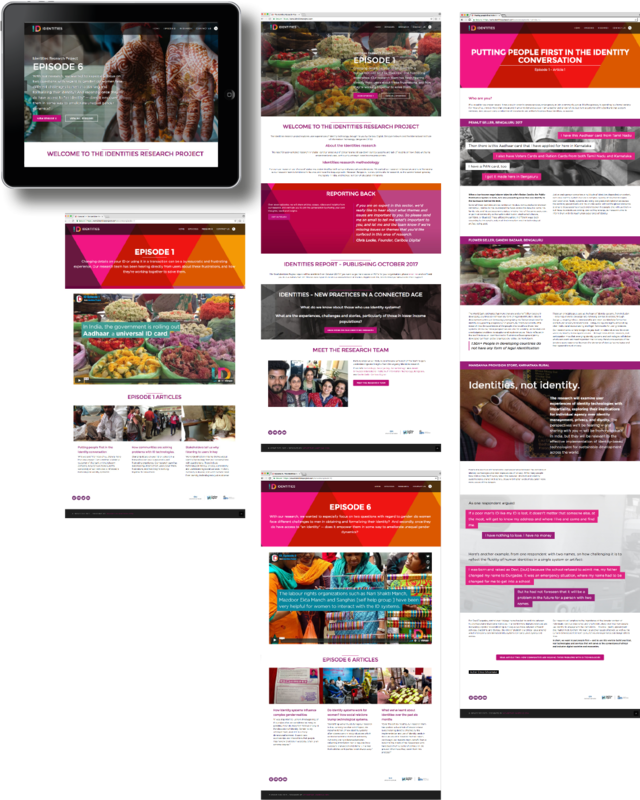 We produced a distinctive cross-platform, branded campaign which covered a variety of deliverables. We created a brand system based on a core set of values: transparent, honest and authoritative. The brand was created to be able to incorporate the raw material coming out of the research in a sympathetic and authentic style. We created a dedicated website for the campaign where we published seven monthly episodes containing video and articles directly related to the live research. The episodes were also published on medium and sent out as newsletters to a core influencer audience. During the eight-month project, there were six workshop events to engage with the global influencer audience, the events were located in Delhi, Bengaluru, London, Washington and Stockholm. 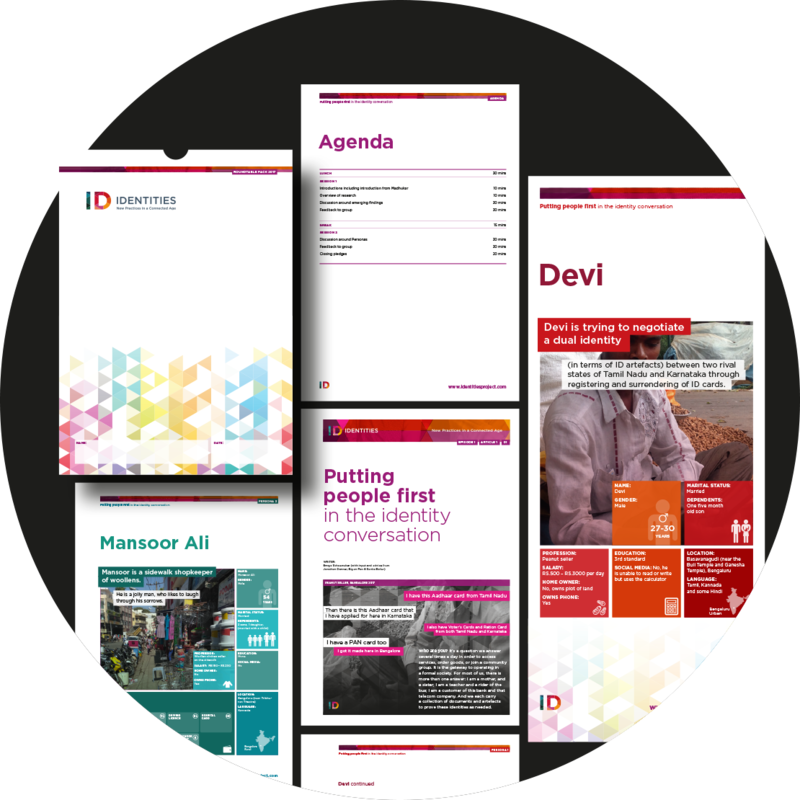 In addition to organizing the events in India, we created a full range of branded event collateral for each of the workshops. 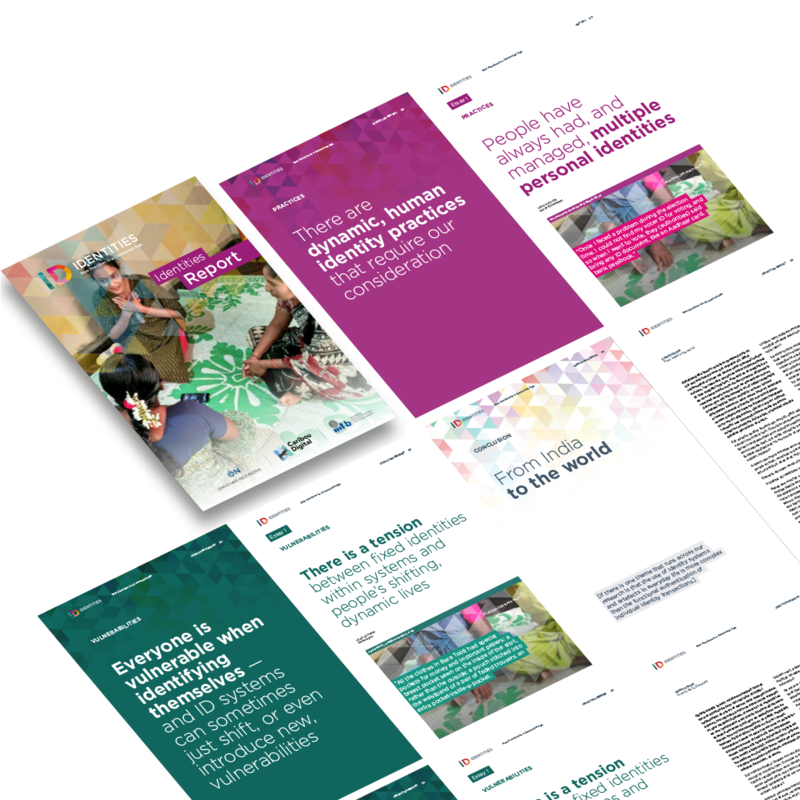 The Identities Project culminated in the design and production of a report of the final conclusions of the research.